The commander of legendary ship Exodus, which carried Jewish refugees to Palestine a year before Israel's establishment, passed away on Saturday after suffering cardiac arrest at the age of 90. Yossi Harel was one of the heads of the movement that aimed to circumvent British-imposed immigration limits on Jews prior to Israel's establishment. 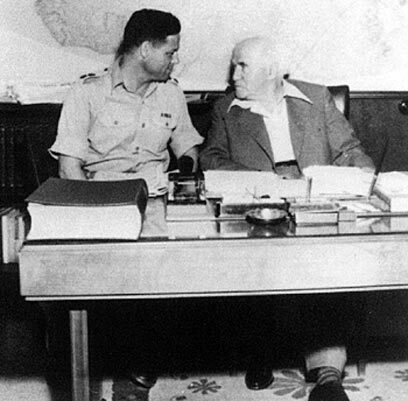 Later he was one of the senior heads of IDF intelligence. Harel gained worldwide fame when his character was portrayed by Paul Newman as Ari Ben-Canaan in the movie Exodus. His daughter Sharon told Ynet that her father was one of "a generation of giants," but that as part of that generation, he spoke little about his career as an IDF and Mossad man. He spent the last few years of his life collecting avant-garde Russian art and pursuing business ventures. Harel also won Exodus' namesake prize of 2007, awarded by the Italian government to those who promote peace and humanitarianism. The prize is awarded every year in La Spezia in Italy, which is where the Exodus was renovated in order to serve its purpose as a ma'apilim ship. Sharon said her father was grateful to Italy, and in his speech upon receiving the prize thanked them for their efforts in helping the Jews in their hour of need. "I thank you for your humanitarianism and for teaching your children our history," he said. Harel commanded four refugee ships and sailed to Israel with 25,000 immigrants altogether during the time of the British Mandate. The Exodus was bought by the Aliyah Bet movement in 1947 in an effort to circumvent British-imposed immigration limits on Jews. It set sail on July 11 of that year from a small harbor near Marseilles, with 4,554 German Holocaust survivors unable to get immigration permits to Israel on board. The British Fleet followed the ship and eventually forced its passengers to return to the German camps from which they fled. In September the passengers disembarked and were returned to the German camps, while the world and the press watched. See all talkbacks "Exodus Commander Yossi Harel dies"